Excellence Class: "Once in a lifetime!" 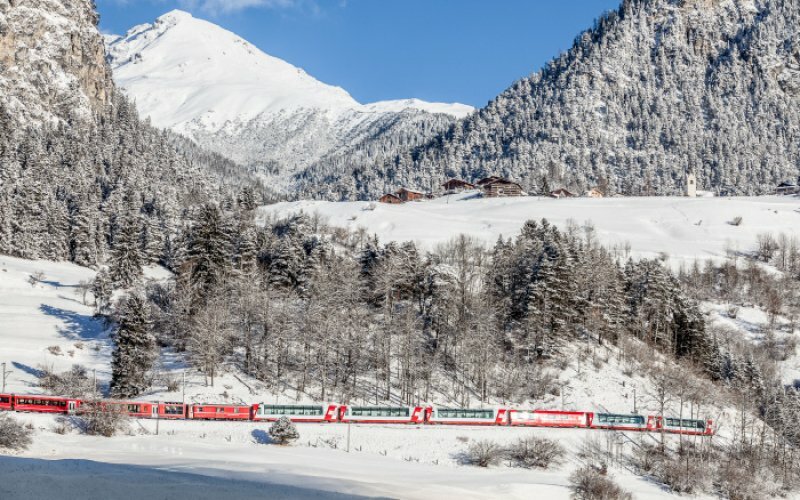 The fully panoramic Glacier Express connects St Moritz in Grisons with Zermatt in Valais via the Albula-railway, Rhine-Canyon and Oberalp-pass. Special panoramic windows offer the best views in both first and second class. 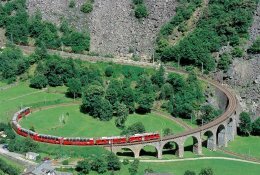 The Glacier Express is the best way to discover the most beautiful parts of the Swiss Alps. If you make reservations for the Excellence class, keep in mind that you need a first class ticket. 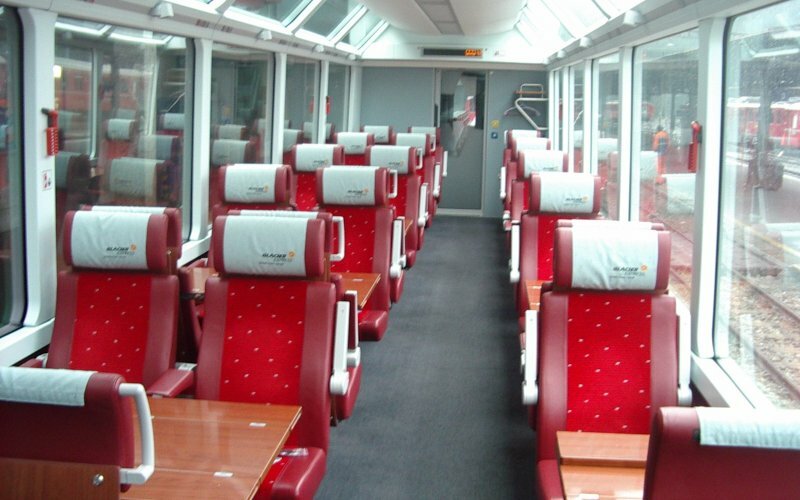 A bar coach is open during the whole journey for drinks and small snacks. When pre-booked, a special three-course lunch is served at your seat. This applies for both 1st and 2nd class. Looking to book this lunch? Contact us. 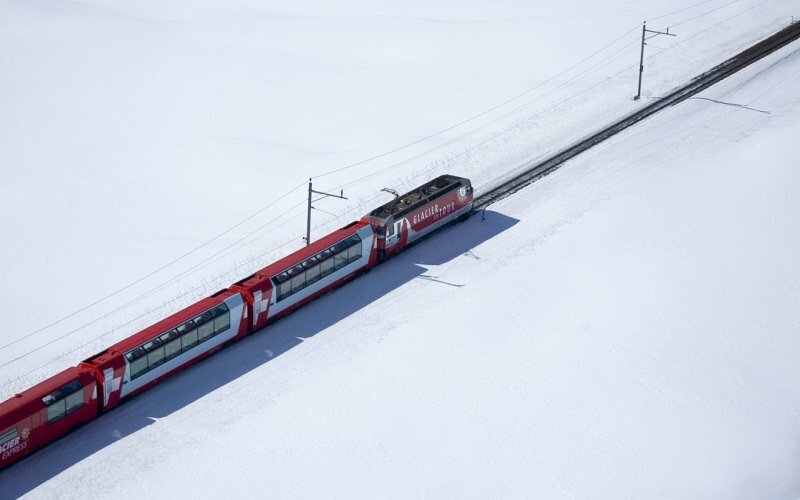 There is no Wifi available onboard the Glacier Express. 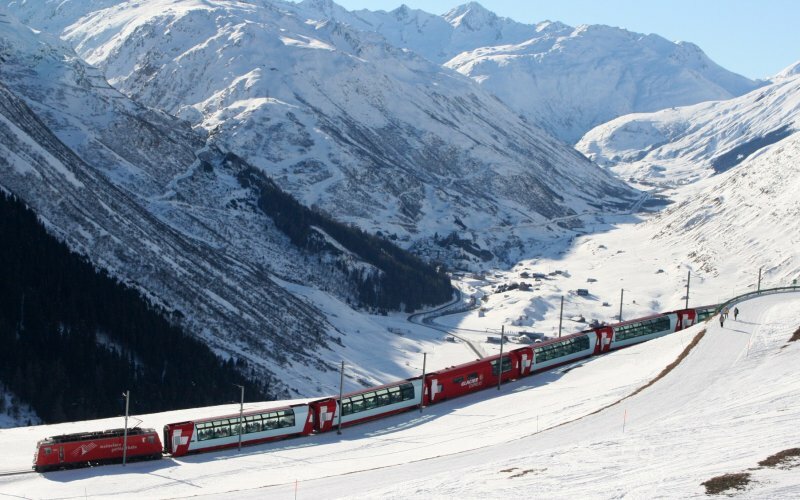 There are no power sockets available onboard the Glacier Express. 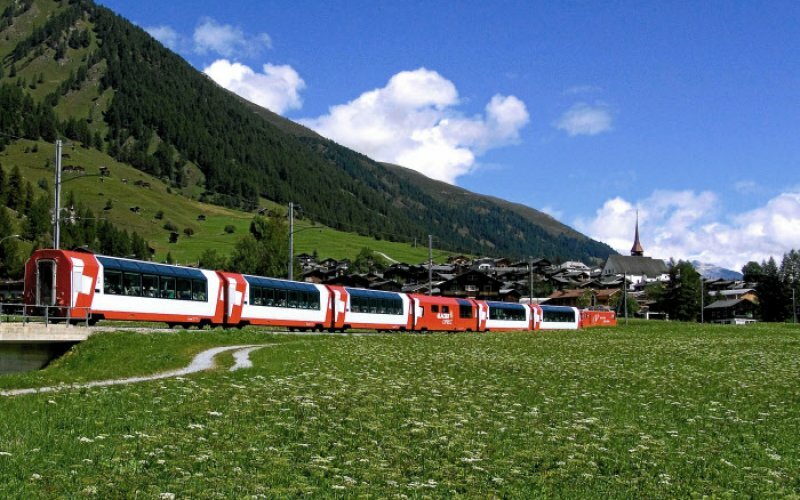 Dogs are not allowed on Glacier Express trains except guide dogs. 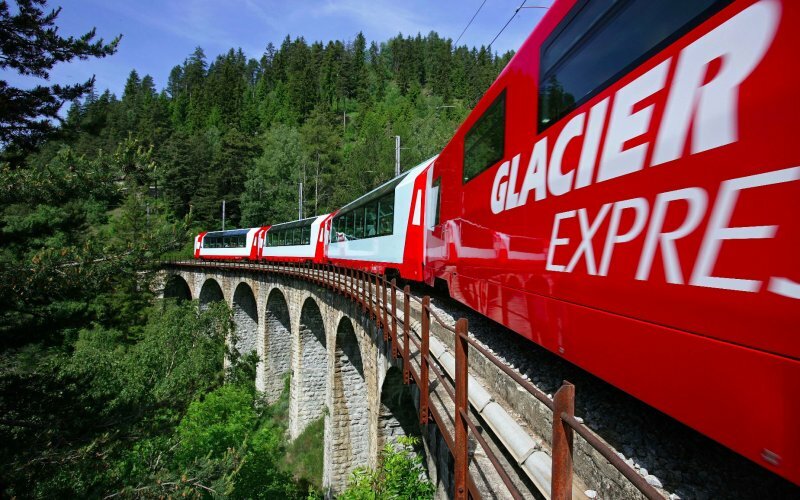 There is no luggage limit onboard the Glacier Express. You can place your large suitcases at the special luggage racks near the outside doors and hang your coats at the wardrobe next to it. Ofcourse, its advisable to take items of high value to your seat. You can board the train at any time before departure. You will be welcomed by stewards on board the train which will guide you to your seat and take any lunch reservations. 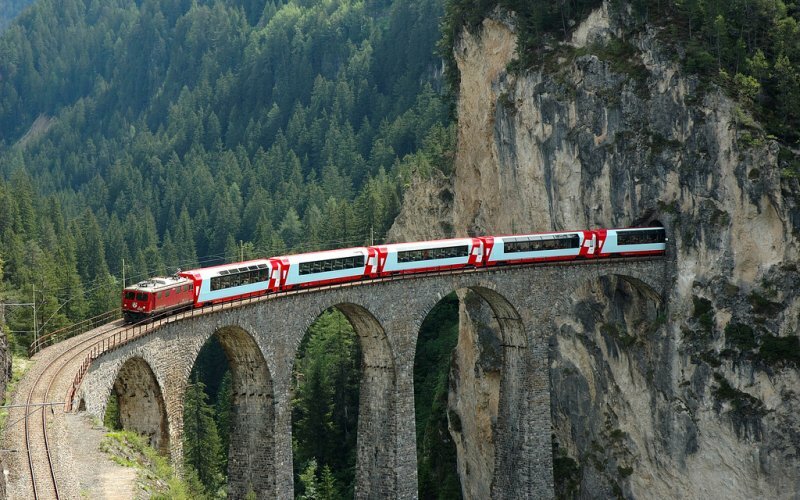 Please note that the Glacier Express is coupled to a regular train between St Moritz and Chur. 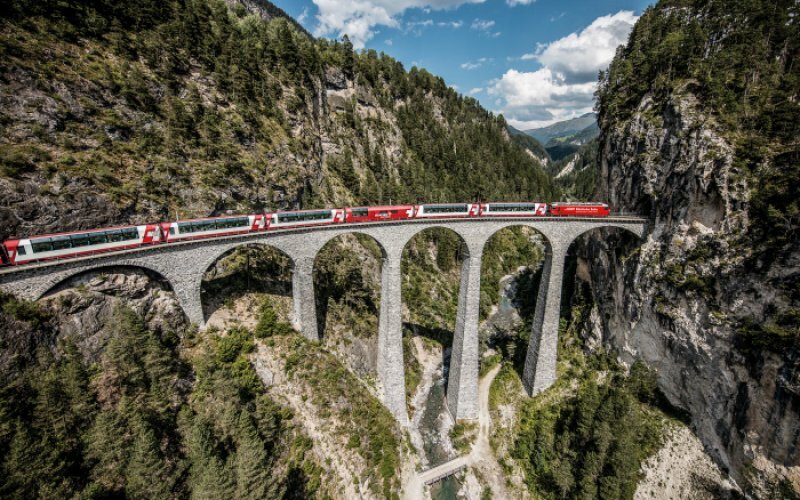 In this case the Glacier Express-coaches will be designated at the train indicators or ask a member of staff where to stand on the platform. 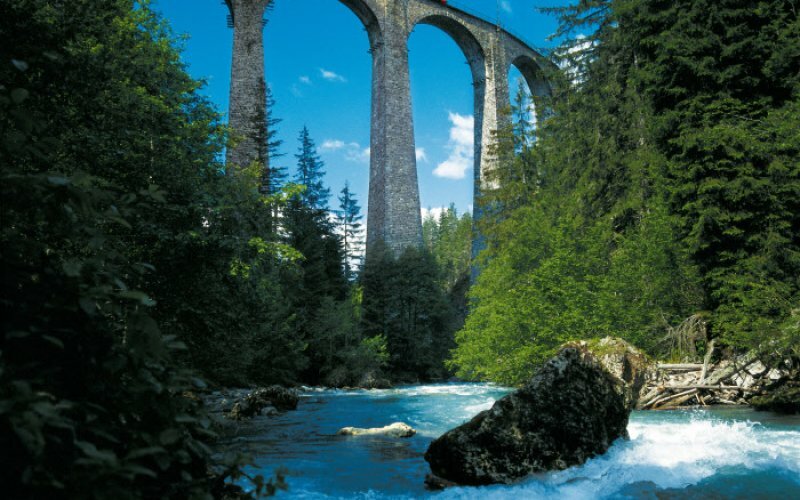 When you're making more train journeys within Switzerland it's advisable to book a Swiss Travel Pass. 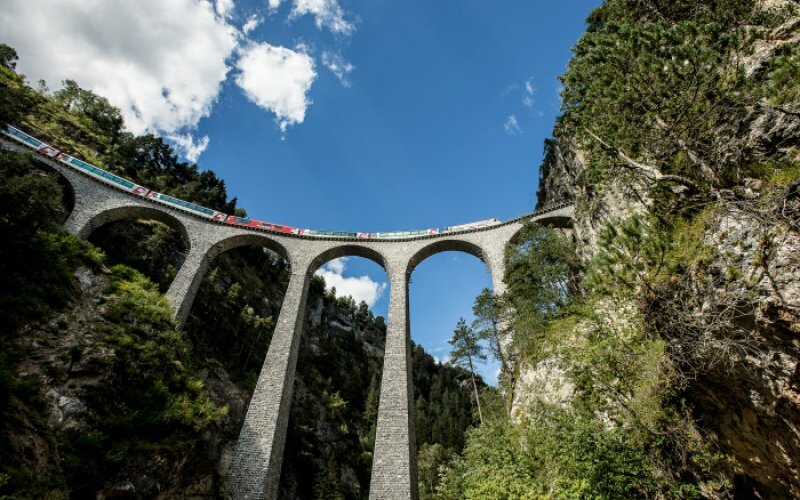 Interrail and Eurail are valid on the whole route of the Glacier Express. A reservation is obligatory. 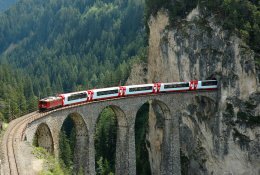 The Glacier Express could be a great incentive for your business partners to discuss business in the beatiful settings of the Swiss Alps. See Business travel by train. 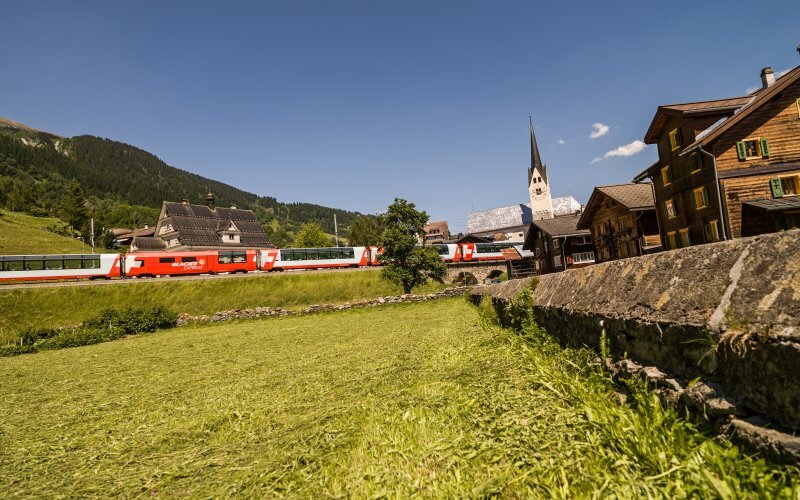 All Glacier Express-stations offer heated waiting rooms for both first and second class passengers. Most stations have a restaurant or shop for refreshments. 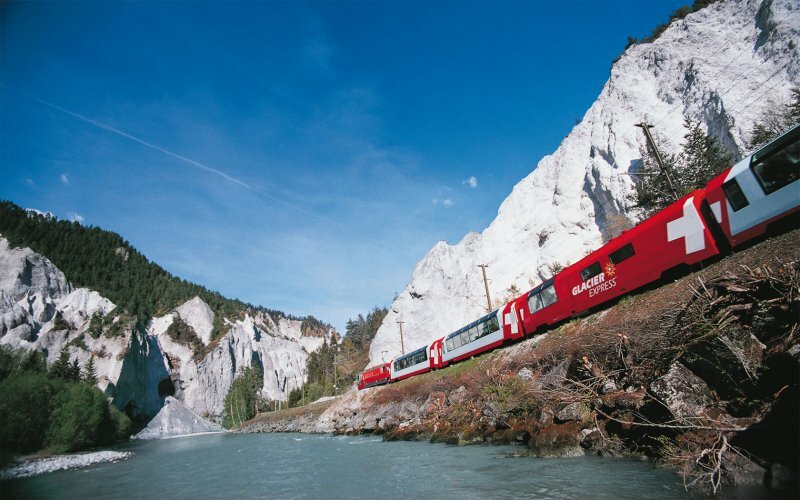 All Swiss Travel Passes are valid for the Glacier Express (reservation required) Popular passes are the Swiss Travel Pass Consecutive (100% Discount) and Swiss Half Fare Card (50% Discount). The travel day you choose when booking determines in which season the trip falls. The winter timetable applies from 01-Jan-2019 to 10-May-2019. The summer timetable applies 11-May-2019 to 13-Oct-2019.